Sitting on the wide expanse of placid water, we listened to the river guide’s instructions, “When we flip, hold on to the raft…unless you feel pain in your shoulders. 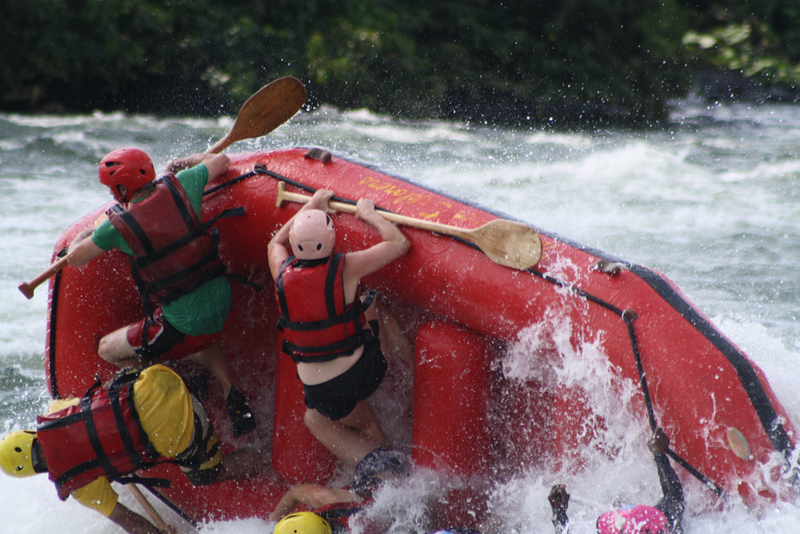 In that case, let go because your arms might be torn off by the current.” The deadpan monologue, delivered with a touch of sardonic humor, did nothing to reassure our friend, who had never been rafting before. When we practiced flipping our raft, he latched onto a nearby boat filled with giggling girls and would not let go. The lifejacket that had kept him afloat proved of little comfort and the fact that the nearest rapid was at least a kilometer away did not assuage his fears. No amount of coaxing could persuade him to rejoin us once we had righted the raft, and he wound up spending the afternoon in the safety boat that accompanied our flotilla of rafts and kayakers because it was guaranteed to never flip. Unlike the smaller, fast-flowing rivers we had rafted in South America, the Nile was at once grander and less impetuous. 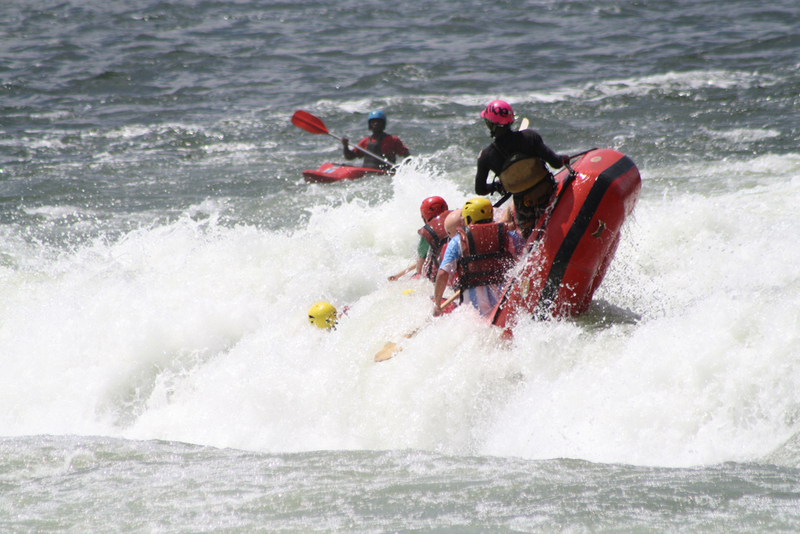 We hit eight major rapids, ranging from turbulent class IV waves that capsized nearly every boat to class V waterfalls that dropped 4-5 meters into pools of churning water. At one point, we had to dock the rafts and disembark. An immense tributary joined the Nile, creating a class VI rapid that was unnavigable in our flimsy-looking rubber boats. After marveling at our insignifance in the face of Mother Nature’s ferocious power, we walked the rafts several hundred meters downstream before relaunching into the bottom portion of the rapid. Each big rapid was followed by several kilometers of calm water, which allowed us to relax and enjoy the scenery before the Nile delivered another measured dose of adrenalin. 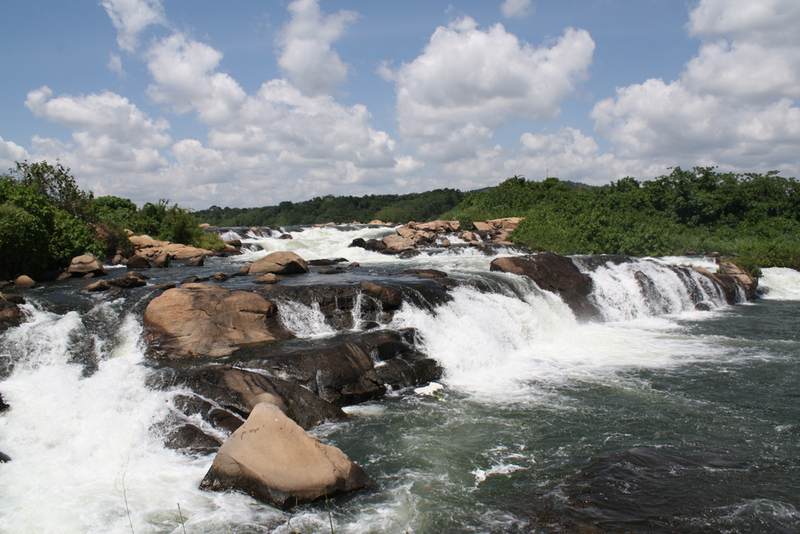 On rivers where the rapids follow closely one after the other, rafting guides will try to skirt the danger spots, imploring everyone to paddle hard as they maneuver the raft around the holes and whirlpools formed by massive rocks hiding just beneath the water’s surface. Fall out of the boat in shallow, swift waters, and your body will take a beating before your friends manage to pull you back into the raft. Not so on the Nile. 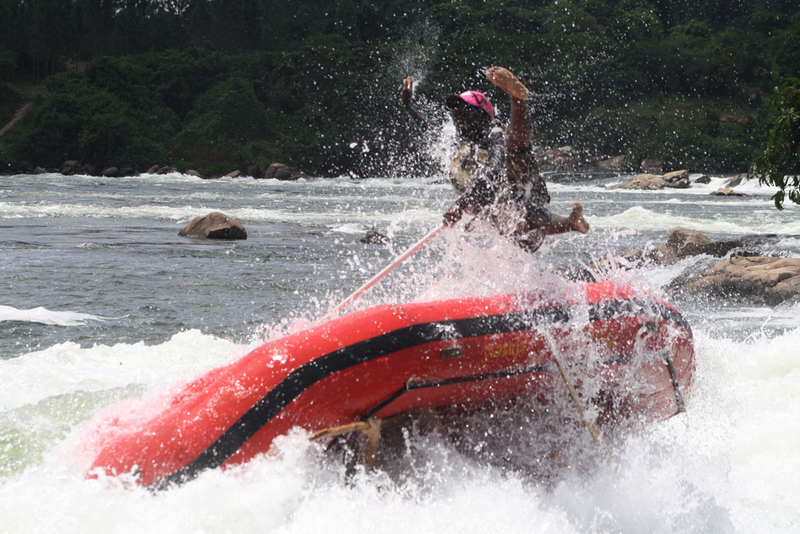 Because the water is so deep and the rapids far and few between, our guide actively tried to flip the boat at every opportunity. 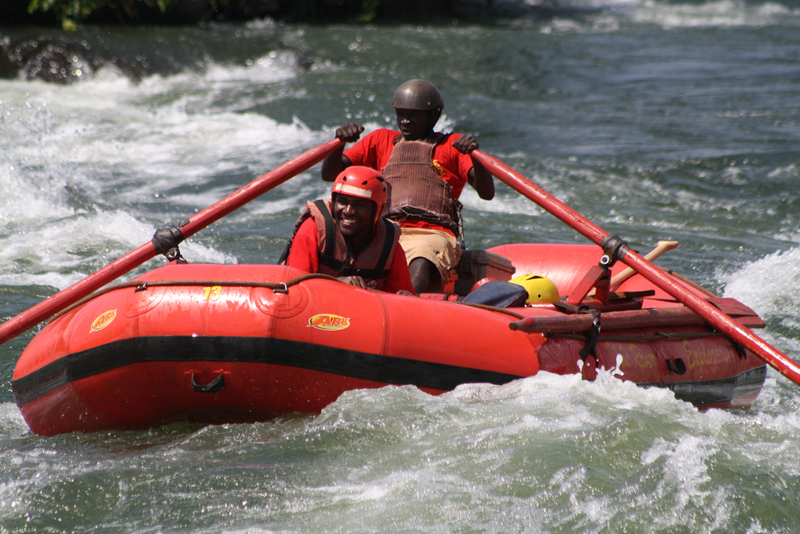 His only advice was to ensure that our paddles were secured as we grasped the safety rope that ringed the raft. “Obviously we don’t want you to do anything with your hands other than hold on for dear life,” he’d say smiling as he steered the raft straight into the biggest wave. As a result, we wound up spending a lot of time in the water, swimming nearly as much of the Nile as we rafted. By the time we reached the end of the trip and hauled the raft out of the water, the sun had traversed most of its downward arc towards a shimmering sunset. Exhausted and a little sunburned, we dried our wet gear in its last rays while enjoying a buffet meal and sipping on ice-cold Nile Special beer. 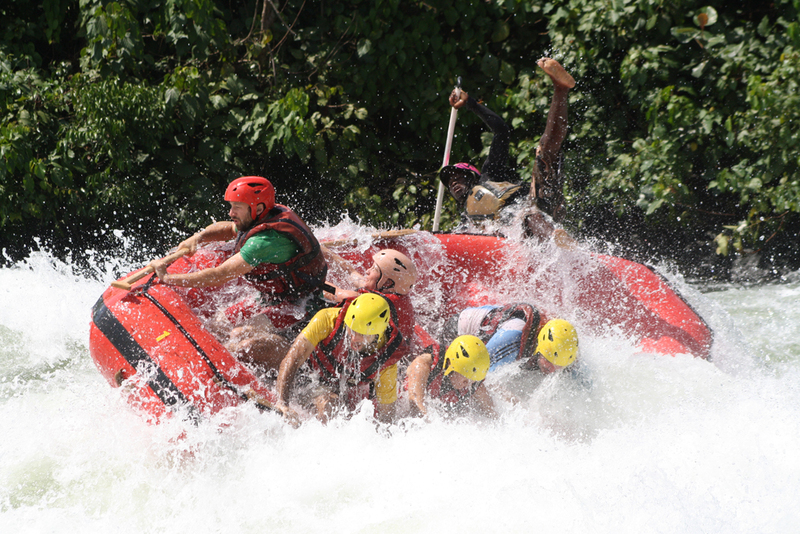 Many of our trip-mates stayed overnight at a nearby campsite; the rafting company also offers kayaking trips, bungee jumping, and mountain biking excursions around Jinja. Sadly, we did not have time to fully explore everything this little corner of the world has to offer. We had to catch a pre-dawn return flight to Nairobi, so we hopped the shuttle back to Kampala, content to cross one more adventure off our bucket list. A version of this story will appear in the next issue of ArtLife. Nairobi folks, check it out!